I spent my childhood looking at the Westbury White Horse, imagining what life would have been like for the people who lived in the iron age Hill Fort that it sits on. Prominent, high and proud. My family has countless photos of the horse, even of me as a 3 year old sitting in the eye. So many that it is an integral part of my childhood. 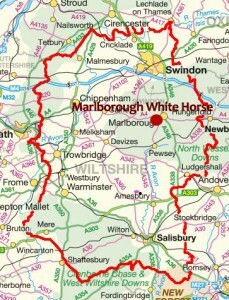 But Wiltshire has many White Horses. Some have disappeared from existence, but with the loving care of local villagers and preservation associations many are still able to canter on for a few more years. The Westbury or Bratton White Horse is a hill figure on the escarpment of Salisbury Plain, approximately 2.5 km (1.6 mi) east of Westbury in England. 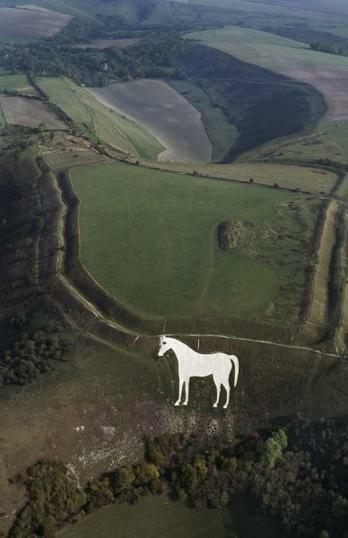 Located on the edge of Bratton Downs and lying just below an Iron Age hill fort, it is the oldest of several white horses carved in Wiltshire. It was restored in 1778, an action which may have obliterated a previous horse which had occupied the same slope. A contemporary engraving of the 1760s appears to show a horse facing in the opposite direction, and also rather smaller than the present figure. However, there is at present no documentary or other evidence for the existence of a chalk horse at Westbury before the year 1742. A relative newbie to the team is Devizes White Horse. You can find it on Roundway Hill to the north of Devizes, overlooking the village of Roundway. This horse is the only one in Wiltshire, and one of only four in Britain, to face to the right. Designed by Peter Greed, it was cut by around two hundred local people in 1999 to mark the millennium. This horse is a little under a mile north of the village of Alton Barnes, on a moderate slope on Milk Hill on the ridge that extends to Walker’s Hill, to the west of the Alton Barnes to Lockeridge road. The originator was a Mr Robert Pile, of Manor Farm, Alton Barnes. He may have been the same man who was responsible for the first Pewsey horse, or possibly his son. In 1812 Mr Pile paid twenty pounds to a journeyman painter, John Thorne, to design the white horse and have the work of cutting it carried out. Thorne designed the horse, then sub-contracted the excavation work to a John Harvey of Stanton St Bernard. Before the work was finished Thorne took off with the money, and Mr Pile was left to pay out again. Thorne was eventually hanged, but what crime that was for seems not to be recorded. The horse seems to have been well looked after over the years, with fairly regular scouring. On one occasion, however, in 1866, the scourers dug a new chalk pit just above the horse, which created a white patch that spoiled the appearance for some time. In 2010 the horse underwent a major renovation overseen by the landowner and Alton Barnes Parish Council, when 150 tons of fresh chalk were delivered to the site by helicopter, which volunteers then used to replenish the surface of the figure. The Alton Barnes white horse looks out over Pewsey Vale towards the new Pewsey horse, and can be seen for many miles. There is a tradition of lighting the white horses to mark special occasions. It was lit on 30th June 2012, marking its 200th anniversary. Curiously, in the nearby village of Alton Priors, there is a sarsen stone by the roadside which has a miniature replica of the Alton Barnes white horse carved on it. 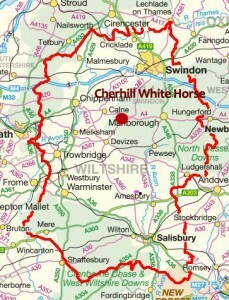 The Cherhill White Horse is a hill figure on Cherhill Down, 3.5 miles east of Calne in Wiltshire, England. Dating from the late 18th century, it is the third oldest of several such white horses in Great Britain, with only the Uffington White Horse and the Westbury White Horse being older. The figure is also sometimes called the Oldbury White Horse. 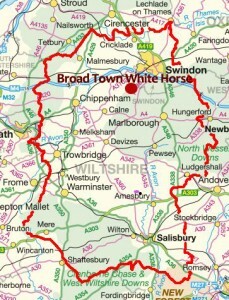 The Broad Town White Horse is a hill figure of a horse located in the village of Broad Town, Wiltshire, England. It is believed to have been cut in 1864. The horse faces west on a long grass-covered steep slope (450 feet above sea level) above Littletown farmhouse just outside Broad Town. 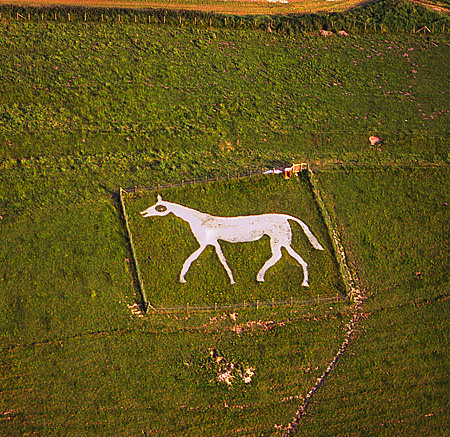 The horse is 80 by 60 feet (24 by 18 m) in size, composed of fine compacted chalk, with well defined edges. The horse suffered from neglect through much of its history, but in 1991 the Broad Town White Horse Restoration Society was formed, and they restored the horse and continue to regularly scour it.. The horse is on private property. This is the only 19th century horse to have little of its history known, it was cut in 1838 by Henry Eatwell who was a parish clerk of Broad Hinton, he was assisted by the local publican. It is said to commemorate the coronation of Queen Victoria. 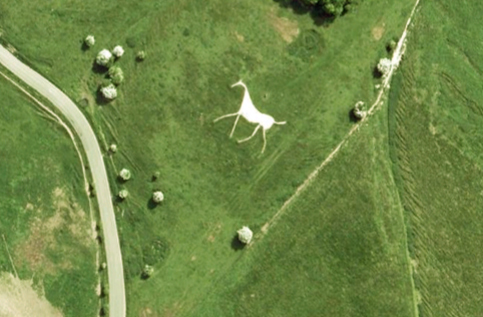 Small but well-maintained, the Marlborough white horse is on a relatively shallow slope on Granham Hill, above the village of Preshute, just southwest of Marlborough. It is just to the west of the A345 Marlborough to Pewsey road. This white horse was cut in 1804 by pupils of a boys’ school run by a Mr Greasley or Gresley. The school was not Marlborough College but Mr Greasley’s Academy in the High Street, in what is now The Ivy House Hotel. The horse was designed by a pupil called William Canning, of the Manor House, Ogbourne St George, who also marked it out on the hill. It was scoured every year, and this scouring became a much-loved tradition at the school. On Mr Greasley’s death around 1830, however, the school was closed and the horse was neglected for a time. But by 1860 it was in reasonable condition again; a photograph taken that year of a cricket match shows the horse in the background. In 1873, having been neglected again, it was scoured under the direction of a Captain Reed, a former pupil of Mr Greasley’s school, who had taken part in the creation of the horse. This horse seems to have changed a lot in appearance over the years. In early twentieth century photographs it looks quite solid and naturalistic, but it is now much thinner and more stylized. In late April 1937 the Pewsey White Horse was cut by volunteers from Pewsey Fire Brigade. The horse is on Pewsey Hill about a mile south of Pewsey, to the east of the minor road that leads from the A345 on the edge of Pewsey to the village of Everleigh. 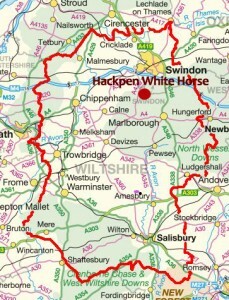 See below for the Old Pewsey White Horse. Everything has it’s time. With Wiltshire farmland being so valuable some farmers just couldn’t carry on with the upkeep. Here’s a small list of the known White Horses of old. The horse was cut at Whitsun 1845 by the local shoemakers, and was known as the Snobs’ Horse, “snob” being a dialect word for shoemaker. During the twentieth century there were some half a dozen proposals to restore or re-create the horse, but none of them came to fruition. 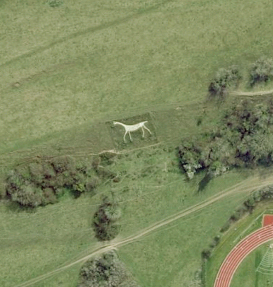 However, in 1999, the new Devizes white horse (see above) was cut, using a plan of the old horse, but reversed so that the new horse faces to the right. Just inside the Wiltshire border, it was on a steep slope on Ham Hill near Inkpen Beacon five miles south of Hungerford, and will have been easily visible from the valley below. It was created merely by excavating the shape; no chalk infilling was used. The horse was on Pewsey Hill about a mile south of Pewsey, to the east of the minor road that leads from the A345 on the edge of Pewsey to the village of Everleigh. The new horse is very close to the site of the old one. The horse was cut by, or on the instructions of, a Robert Pile of Manor Farm, Alton Barnes, probably around 1785. It fell into neglect, and by the mid 1800s was in a very poor state of repair. By the 1930s, the chalk was no longer visible, but the outline of the head and body could just be made out. 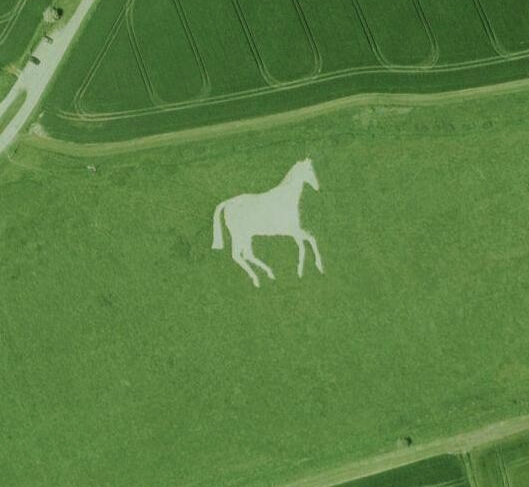 The Rockley White Horse was discovered in 1948 when land belonging to Wick Down Farm on Rockley Down was ploughed. The plough brought to the surface a mass of chalk in a pattern not identifiable on the ground. Local shepherds said that they had long been aware of a discolouration of the grass in that area. 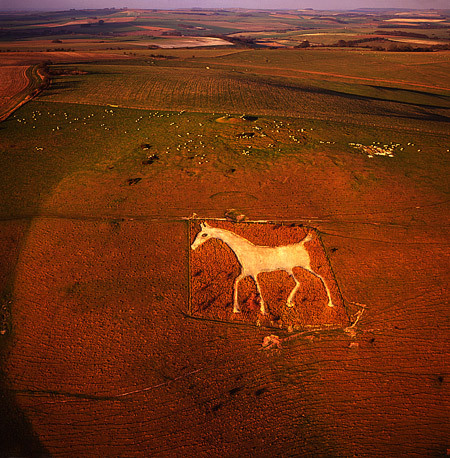 Aerial photographs were taken, and the chalk was revealed to be the infilling of a previously unknown white horse. In the course of turning over the soil, the plough had moved the chalk a furrow’s width eastwards, but the figure of the horse was still plainly recognizable as such. The horse was beside a footpath by a beech plantation about a quarter of a mile south west of the minor road from Marlborough to Wootton Bassett, some four miles north west of Marlborough. It was a well-proportioned horse, depicted in a trotting or running position, with a long square-cut tail, and facing left as do most of the Wiltshire horses. Sadly the horse is long since lost, with the land ploughed and the chalk dispersed, and its origin will probably never be known. 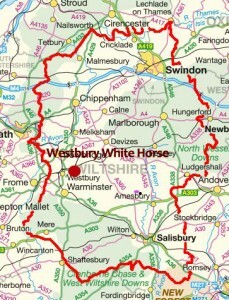 Huge thank you to Wiltshire White Horses website. Please visit them for more indepth information regarding the horses and history behind them.